Russell Christ, GOP candidates for RI County Clerk, outside the county office building. With early voting about to start for the November election, residents of Rock Island County should be worried about the security of their votes. That was the message Wednesday from Russell Christ, republican candidate for county clerk. 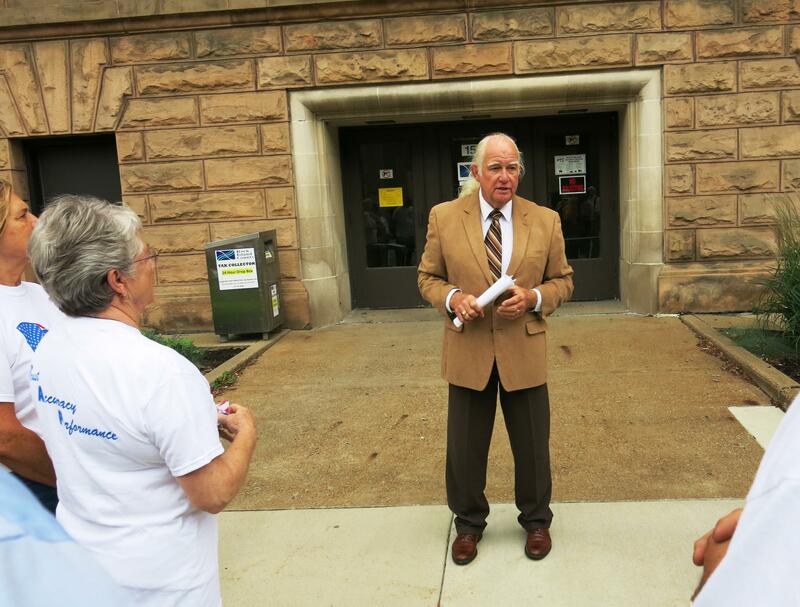 Outside the county office building Wednesday afternoon, he told GOP supporters the current county clerk, who's also his democratic opponent Karen Kinney, should be more careful in protecting the memory cards used by the touch screen voting machines to record votes. 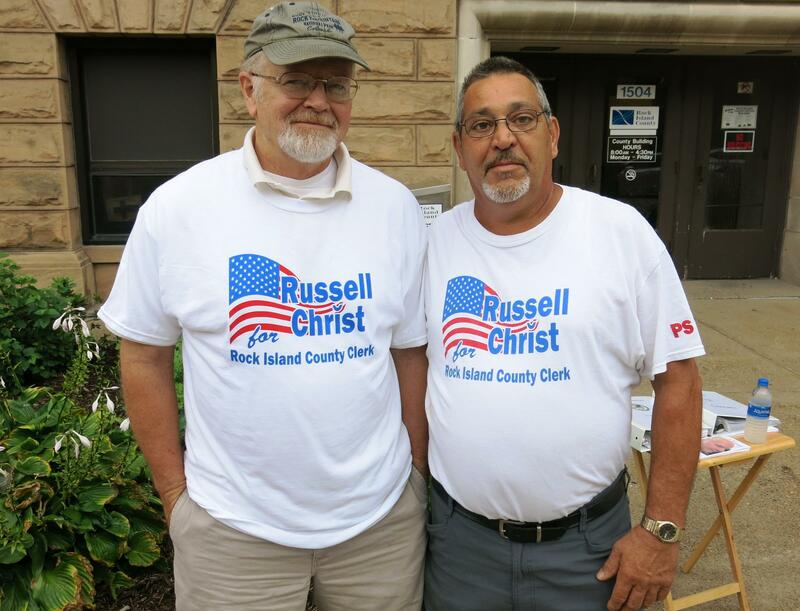 Christ supporters - Dale Holmes of Moline and Brent Titus from Rock Island. "No security tape is used to identify if the memory card has been removed or changed. I believes this is an issue that should be addressed by the county clerk prior to any early voting on the 27th of September." Kinney says she carefully follows state election law, and the memory cards, the touch screen machines, and our votes, are all quite secure. "He keeps asking me security questions, like where do we store the machines at night. I can't share that with anyone and if I do, it will no longer be secure." She also says public tests of the voting machines will be held next month, and leaders of both parties will be notified of the time, date, and location. Christ says he first became aware of possible problems while working as a poll watcher during the last two elections, and has trained to be an election judge.